Place mayonnaise, sour cream and cream cheese in a mixing bowl. Use a hand mixer to blend until smooth. Stir in crumbled bacon, cheese, diced tomatoes and green onions. Spread in your temp-tations® 1.5 quart tree bowl. Bake for 20 minutes or until bubbling. 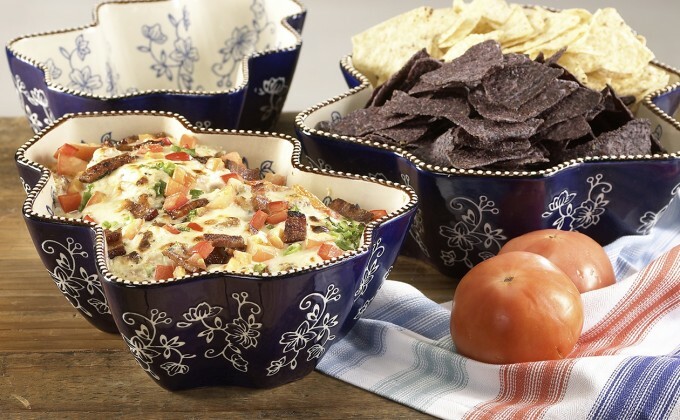 Serve with tortilla chips in your temp-tations® 2 quart tree bowl.